Posted on September 29, 2017 by Riley W.
Dystopian science fiction is one of the most popular and appealing genres to readers of all ages, especially teens. Novels such as The Hunger Games and Divergent just don’t disappoint. And Pierce Brown’s Red Rising certainly doesn’t either. Red Rising introduces a society much different from other dystopian settings, containing social classes ranked by color, with Gold at the top and Red at the bottom. When main character Darrow, a Red, witnesses his wife’s unjust hanging by the oppressing dictatorship of the Golds, he decides to act and avenge his loved one’s death. To overthrow such a massive power, he plans to take on the impossible task of becoming one of its own Gold leaders and overthrow the government from the inside. What will Darrow have to do to succeed? Darrow must physically and mentally become a Gold – think, act, and perform as a superior, perfect human being. Darrow must enroll in The Institute, a government school that teaches its students the nature of conquering others for power. It tests them with a life-sized game similar to capture the flag, where killing opponents is permitted and highly advised. There will be only one graduate from The Institute who will be granted an apprenticeship to eventually become one of the society’s top leaders. Darrow must not show his true identity as a Red and failure to do so means death. 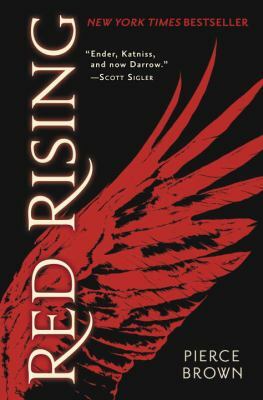 Red Rising is an astounding novel displaying how trust can quickly turn friends into enemies. The creativity and imagination incorporated by Pierce Brown makes it such a brilliant and fantastic work of science fiction. As the first book of a trilogy, the plot really captures my attention, and I cannot wait for what the next two books will bring to the series (Golden Son, Morning Star). I would rate this book a 9 out of 10 and would recommend it to high school audiences and above. Its use of violence and romance makes it a more mature read than other science fiction novels. Pierce Brown’s Red Rising trilogy is available for checkout from the Mission Viejo Library. Posted on September 27, 2017 by Elina T.
The Alchemyst, by Michael Scott, is a fantasy novel with both medieval European history and mythology from all around the world woven into it. The story follows Sophie and Josh Newman, two normal teenaged twins spending the summer in San Fransisco while their parents work at an archeological dig in Arizona. Little do they know that their lives are about to be changed forever. Sophie and Josh experience one shock after another as they come to realize that the world is full of magic. But not the type of magic we think of straight away. In their world, it is believed that, over time, the human race has neglected the full use of all of their senses. When people are Awakened, when the full extent of the capacities of their senses are activated, what they have the ability to do seems like magic. But magic isn’t the only thing that they discover to be true. Famous historical figures, like Nicholas Flamel and his wife, Perenelle, are still alive and have been living on this earth under different aliases for hundreds of years. And even more intriguing, the twins find that figures straight from fairy tales and myths roam the earth. Sophie and Josh are dragged into a thrilling and dangerous chase when they unwittingly witness the Book of Abraham the Mage being stolen from Nicholas Flamel. This book, the Codex, contains the recipe for the Elixir of Life, and without it, Nicholas and his wife will age rapidly and perish within the month. But the book also contains another spell. A spell that could compromise the liberty of the human race. Sophie and Josh must assist Nicholas in retrieving the book, else risk the existence of the world as they know it. What I admired most about this book was that it introduced mythological characters, creatures, and places from from a variety of different countries. In the world that Scott has created, all of these mythological figures live in the same world and interact with one another. I also enjoyed the historical content that Scott weaves into the story. European history has always piqued my interest, what with all the drama and their heavy belief in the gods. This book provided a sound union of history and mythology and was a very compelling read. This book is definitely not monotonous, and in fact is very fast-paced and filled with adventure. It was also easy to relate to the main characters (the twins) and what was going through their minds as their eyes were opened up to the world of magic before them. I enjoyed this book very much, and look forward to reading the remainder of the series. (There are five more books: The Magician, The Sorceress, The Necromancer, The Warlock, and The Enchantress). 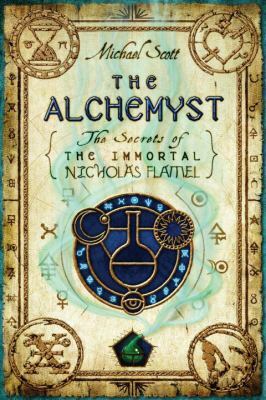 The Alchemyst by Michael Scott, and the rest of the books in the series, are available for checkout from the Mission Viejo Library. 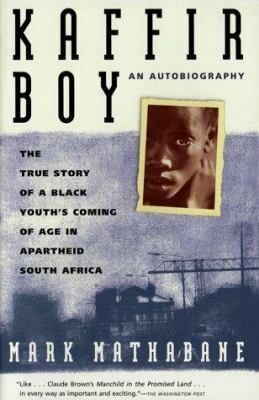 Posted on September 15, 2017 by Mirabella S.
Kaffir Boy, the autobiography of Mark Mathabane, is the haunting story of Mathabane’s life in South Africa under apartheid. In a world where his very existence is frowned upon, and his every movement is monitored by cruel regulations, Mathabane accomplishes feats deemed impossible by the powerful white minority of South Africa. You see, although Mathabane was talented, smart, and athletic, he was black, which, according to the laws of his country, should have sentenced him to a life of poverty and servitude in the ghettos of Johannesburg. However, in a twist of fate, Mathabane enrolls in school and discovers tennis, the sport which changed his life. 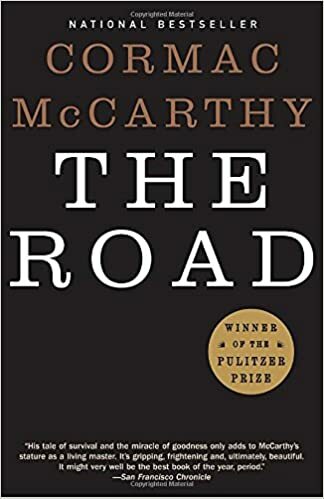 The rest, up until the publication of his book, is a rollercoaster ride of revolution and rebellion that you will not want to put down for an instant. The book begins with Mathabane’s childhood, which as you would probably assume, allowed very little room for play or fun. The opening of the book details a police raid in which multitudes of his neighbors were arrested for petty crimes, and sent to work in the countryside for unspecified amounts of time. Later, his family battles starvation. Just when you begin to wonder if times will ever look up for the Mathabanes, they gather enough food to scrape by for another day. Event after event occurs, and you begin to wonder how Mathabane, called “Johannes” in the book, even survived long enough to write the book that you hold in your hands. However, hope comes to the family in the form of education, against all odds. As a disclaimer, I will say that Kaffir Boy is not exactly a feel-good story. However, it is wonderfully written, triumphant, and eye opening. The book is a look into a world that we tend to glance over. You probably know what apartheid was, but this book is a look into the life of a person oppressed by it. It is also exciting, and shocking in many ways. It is a must read, and I definitely recommend it to anyone and everyone. Kaffir Boy by Mark Mathabane is available for checkout from the Mission Viejo Library.